A woman in Marsa admiring one of the artworks in Marsa, which are on display till the end of August as part of the Naqsam il-MUŻA project. Community members from different localities choose artworks from the national collection and then display them in the community spaces. Naqsam il-MUŻA, the project showcasing the community’s choice of artworks from the national collection at the National Museum of Fine Arts in localities around Malta and Gozo, has made its way to Marsa and Kalkara. A joint Valletta 2018 Foundation and MUŻA Project initiative, the exercise in community curation empowers members of a chosen community select artworks to display in their own localities. The project is part of the run up to 2018, when Valletta will be named European Capital of Culture and when MUŻA, the new national-community art museum which will house the national collection, will open its doors. The Marsa edition of the project includes the choice of eleven participants chosen from the Marsa community. The final selection, including comments by each participants, is currently installed in various locations around Marsa. These include the parvis of Marija Regina church, the Marija Regina Band Club, Marsa Scouts Headquarters, Il-Pespus Smart Kids Child Care Centre, the Għaqda Storika u Kulturali Marsa, the Regatta Club, Triq is-Salib tal-Marsa, the Marsa Open Centre, Prince Albert Street, the Horse Racetrack entrance and the Marsa Sports Complex at the gate to the Athletics track. In Kalkara, the seven chosen community members proposed artworks currently installed, together with comments by each participant, at Chapel of Our Saviour, Kalkara Local Council, Circolo San Giuseppe Filarmonika Sagra Familja, the Kalkara Parish Church parvis, Kalkara Sea Front, D Karlkara Regatta Restaurant, and the Kalkara primary school entrance. 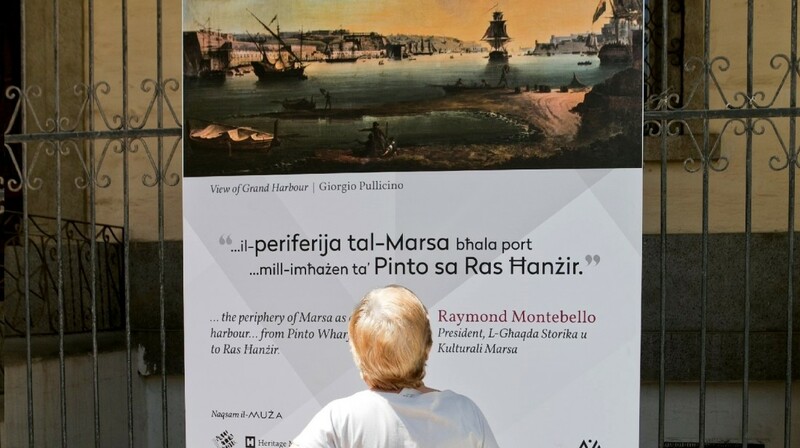 Installations in Kalkara and Marsa will remain on display until the end of August. The next community will be Gzira. The first installation of Naqsam il-MUŻA took place in Valletta last March in which 10 artworks were displayed around the city. The Valletta community choice will be on display in September at the National Museum of Fine Arts. The old museum venue will be closing its doors for the last time right after this year’s edition of Notte Bianca happening on Saturday 1st October 2016.